As with all my recent DIY guides, I try to keep the installation of non-OEM options appear as OEM as possible. With this in mind, the steps involved are meticulous and detailed. 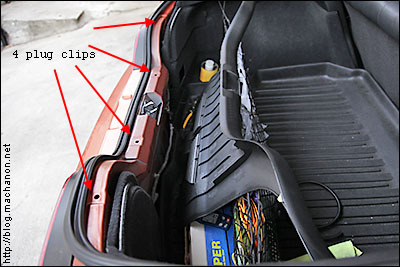 If you do not care for OEM-spec installation and just want to get the fog light functional, you can can simply skip the steps and optional parts and just wire the fog light as depicted in the diagram provided below. Please read this entire guide thoroughly before purchasing parts. I wrote this guide for educational purposes to reference the effort involved in this project. Use this guide at your own risk. 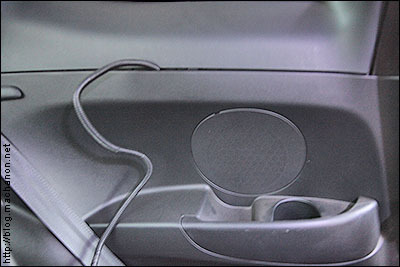 For this install, we’ll be using the ’07-’08 Honda Fit Sport combination switch with built-in fog light switch based on ClubRSX member gslowr’s original concept. 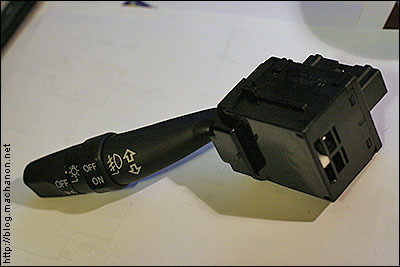 The Honda Fit combination switch will be a direct swap with the RSX combination switch. 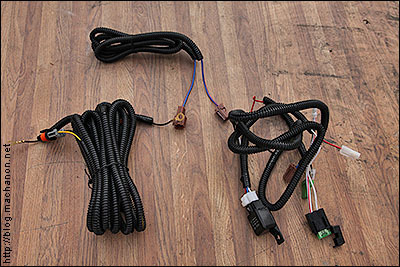 Utilizing the wiring harness from an after market OEM-style fog lights, which can be purchased on eBay for $50.00, we’ll wire it up so that it functions like OEM-spec. That is, the rear fog light will only turn on if the front head lights are turned on (just like OEM-spec front fog lights). 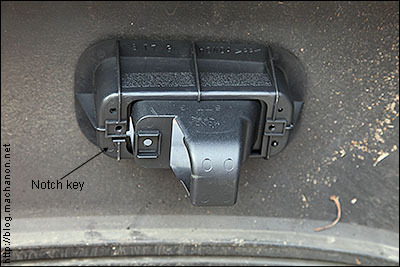 But unlike OEM front fog lights, the rear fog light will not turn off if your high beams are activated. Expect to spend about 2 hours on this modification, wiring and rear bumper cutting included. Again, for those that are electrically well-versed, you can skip to the circuit diagram at the bottom of this guide and perform the installation at your own pace or method. 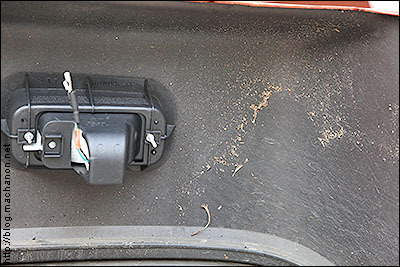 This guide assumes that you have OEM Acura fog lights with OEM wiring harness installed. 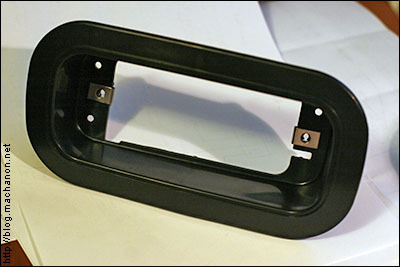 If you are interested in adding an EDM rear fog light to your Integra, you do not need to “estimate” where to cut the hole on your rear bumper to fit the fog light. 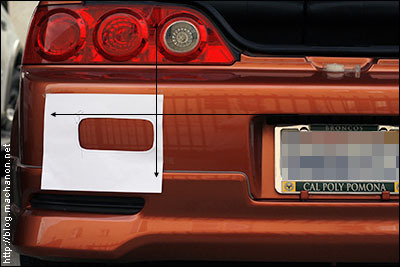 If you remove the rear bumper and look carefully at it from the inside, you’ll see pre-printed indentation line on exactly where to cut. I believe it’s only on the right hand side (since these cars are all RHD), but on the mid-90’s Honda Prelude, the same indentation marking exists but on both the left and right side. Obviously you’ll need a different switch, but the wiring should be the same. When in doubt, follow my generic Toyota OEM-style fog light wiring and connection diagram. 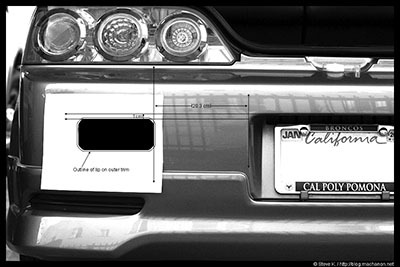 For the complete legality scoop regarding rear fog lamps usage in the state of California, refer to CVC 24602. 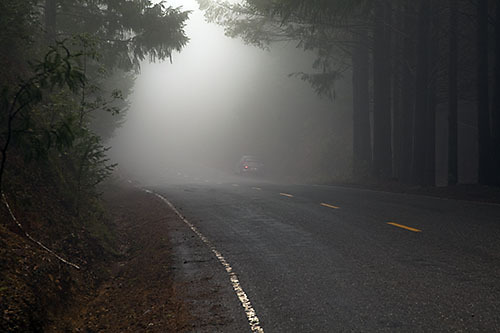 The only item that you should be concerned about is clause #5, which states that an amber pilot (indicator) light is lit when the rear fog light is turned on. Easy to wire up to an LED, or follow the optional rear fog light indicator mod at the bottom of this guide. Obviously if you reside in a different state or country, you should consult your local vehicle code for legality. 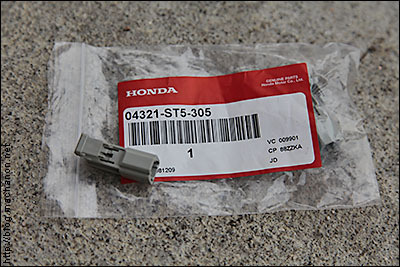 2x Honda 0.50 female pigtails (shown taken from OEM side marker connector). Part #: 04320-SP0-X10, sold in a bag of 10 pcs. 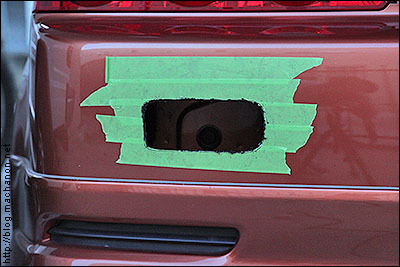 You can use the preceding as a general guide to mount the rear fog light on your ’05-’06 RSX. 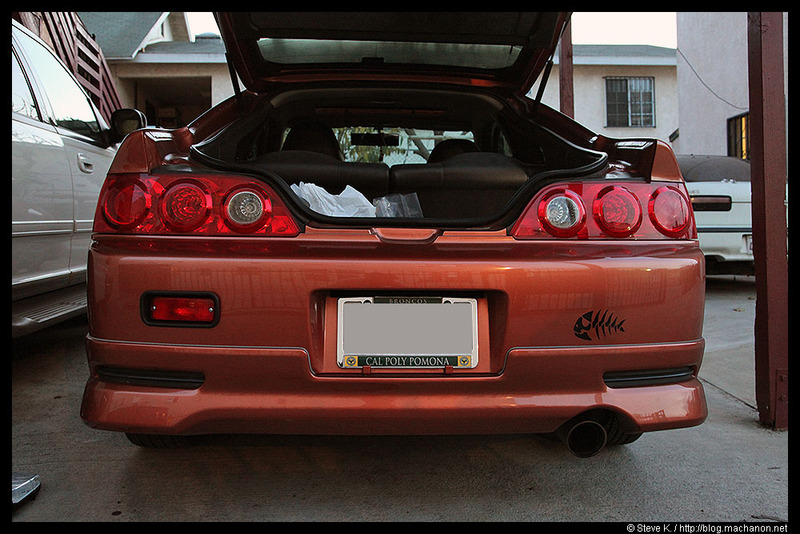 The ’02-’04 RSX models has a different rear bumper so if you’re installing it on an earlier RSX model, you may have to modify the measurements to suit your application. 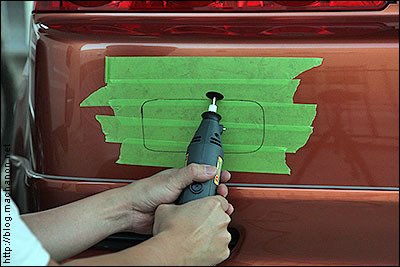 Stand back and examine the template affixed to your rear bumper. 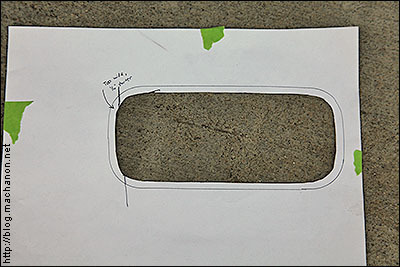 If you are satisfied with the location and alignment, it’s ready to begin cutting. Finish with a sanding disc for a clean presentation. Test fit the outer trim. If the hole is too small, you can use a grinder bit and gradually widen up the hole. REMEMBER: It’s always a good idea to start by cutting a smaller hole – you can always widen it up later if it’s too small. 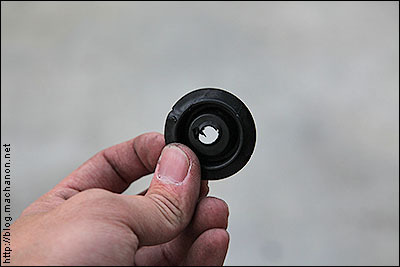 If you cut an oversized hole from the start, it could leave to mounting problems. The key point is to take your time and pace yourself. It took me about 1 hour to perfect the hole. 6. Remove your rear bumper. 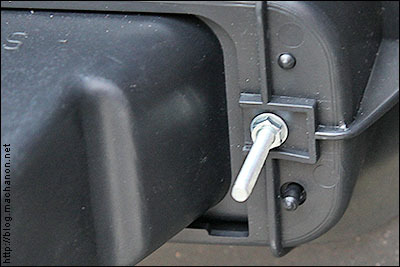 For extra security, you may use two nuts per bolt instead of one. 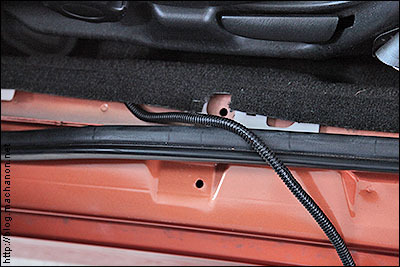 The drawback is you’ll have to remove the rear bumper every time you need to change the bulb (unlikely), but the security and peace of mind is well worth the extra effort. 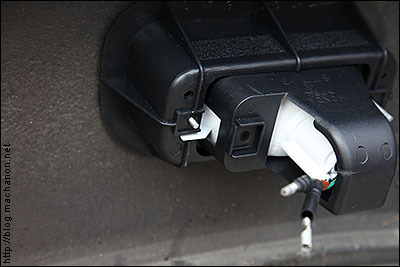 The reason why we’re using an after market OEM-style fog light wiring harness is because it will simplify the installation. 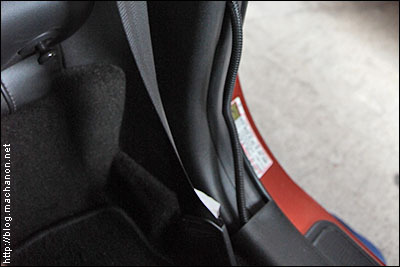 Plus everything you need is already part of the harness; no need to purchase additional parts. 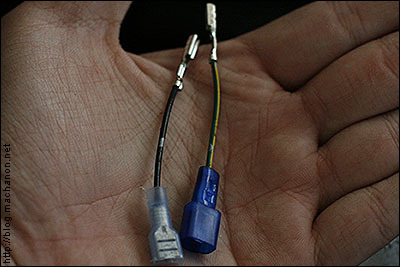 All you need to do is rearrange a few terminal joints and make a few wire splices to lengthen the power wire. 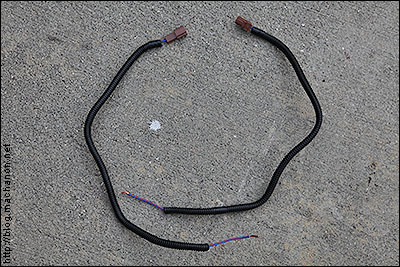 For folks that had to replace OEM fog lights (as I did) with an after market set due to cracked lens caused from road debris, this is a prime opportunity to use the after market fog light wire harness if you happen to save it. For those that do not have an after market wiring harness, follow the circuit diagram below and create your own harness using a few cuts of 16 awg wire, a 10A fuse and a 4-pin Bosch relay (with pigtail). 1. 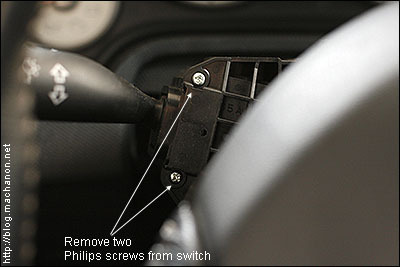 Remove the steering column covering by removing 3 Philips screw on the lower cover and separating the top cover from the bottom cover. 3. With gentle force, push the combination switch to the left and out. You may need to pull it out with your hands or push it out with a screw driver. 6. 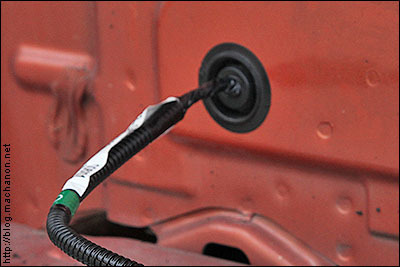 Insert the two pigtails into the terminals on the plug as shown. Make sure they are in the correct orientation before insertion. Incorrect orientation can result in a damaged pigtail or plug, or both! If you are not sure, just look at the adjacent pigtail. 7. 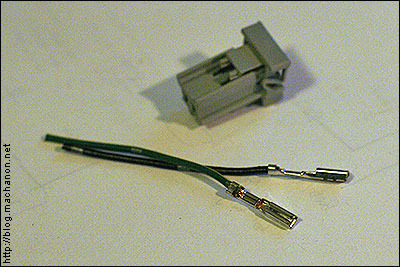 Crimp a quick connect to the positive wire (usually a RED/YEL wire) from the after market wiring harness then connect it to one of the pigtails that was inserted into the 16-pin combination switch plug on step #6. It doesn’t matter which one, but take note of the pigtail you actually make the connection with. 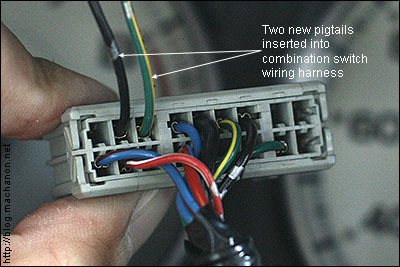 This wire is directly connected to pin #86 (or 85) of the fog light relay. 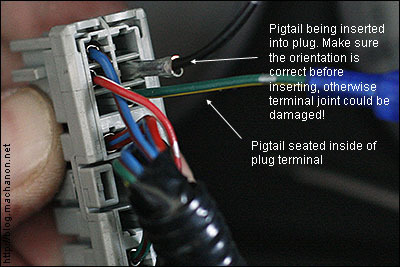 Take the remaining pigtail (the one that is not connected to the RED/YEL wire on step #7) you’ve inserted and splice it with the BLU/RED wire (pin #4 on the plug). 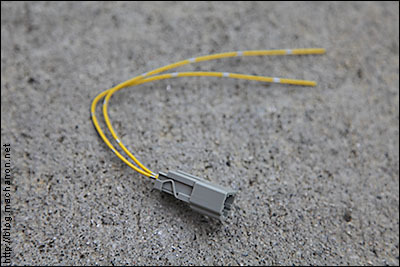 You can use a T-Tap for the splicing. The pin where the BLU/RED wire is plugged into becomes active when you turn your head lights on. 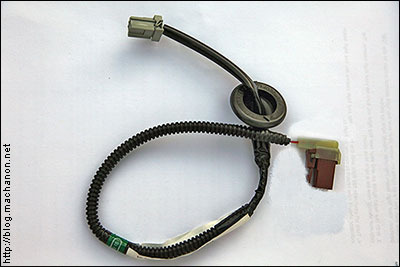 If your Fit fog light switch is in the “ON” position while your head lights are on, the 12v from the BLU/RED wire will trigger the coil in the fog light relay, completing the circuit between pin 30 and pin 87. Alternatively, you can tap this wire into the IGN (ignition) wire to use as a trigger, but to remain OEM-style, this is what we’ll do for the guide. 8. 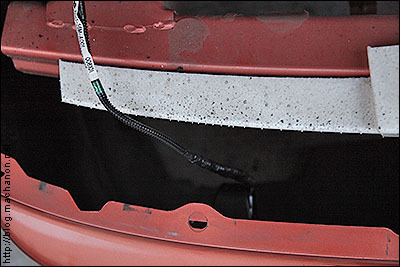 Next, look for a thick WHT/RED wire in the after market fog light harness; it may simply be RED or a WHT wire color depending on the harness you use. This wire should be approximately 12-14 awg thick connected to one blade of a 30a blade fuse while another thinner wire, about 16 awg thick, is connected to the other blade of the same fuse. The end of the thicker WHT/RED wire will terminate in a brown 1-pin female plug. 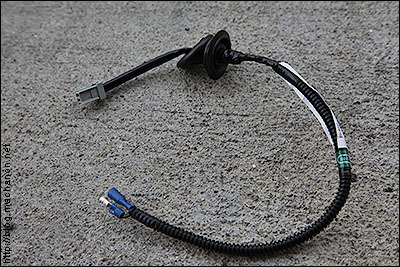 If you have OEM or after market OEM-style fog lights installed, cut off the brown plug and cap off the wire with an end-terminal. 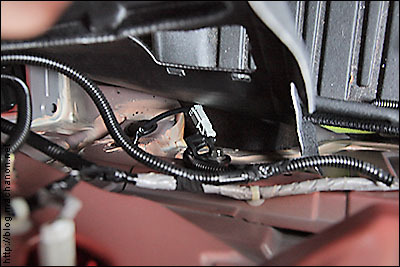 Then splice this wire to the OEM fog light wire power wire in your under dash fuse box with a quick splice tap. Since the wire will be powering a 21w bayonet bulb instead of two 55w H11 bulbs, replace the 30a fuse in the fuse holder with a 10a fuse. 9. 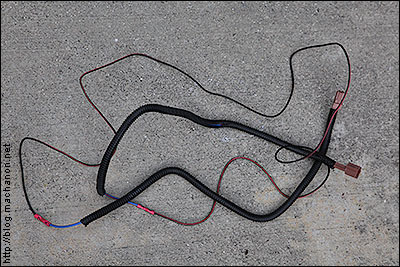 Ground the BLK wire from the after market fog light harness. 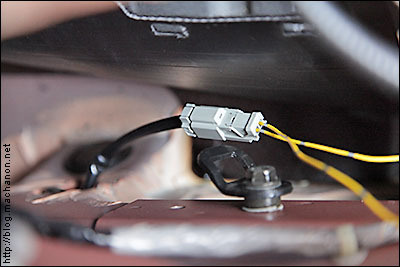 To do this, ground the black wire from the rear fog lamp and connect the power wire to the BLU (or BLU/RED) wire from the after market fog light harness – the wire that is directly connected to pin 87 of the fog light relay. You may want to make the temporary connections with a pair of test leads. Note: If using test leads, connect the positive wire first and be extremely careful not to accidentally short out the positive clamp by inadvertently grounding it to any metallic surface! 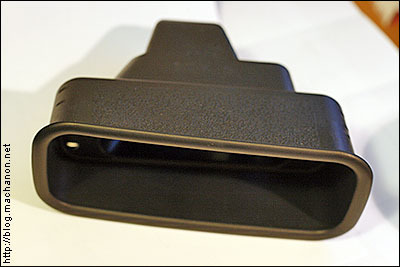 This can damage your test leads, your rear fog light, your combination switch and start a fire. 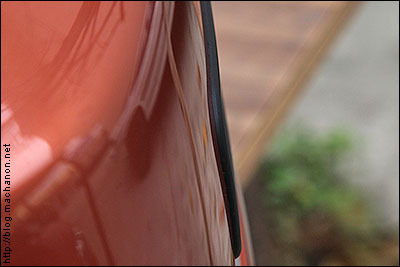 Turn on your head lights, then turn on the fog light control on the Fit switch. 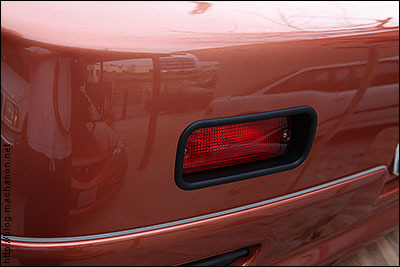 If connections are correct, your rear fog lamp should light up. 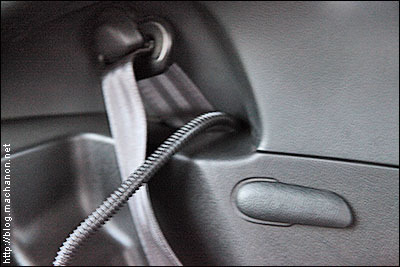 Turn off your head lights while leaving the fog light control on the Fit switch in the “ON” position. 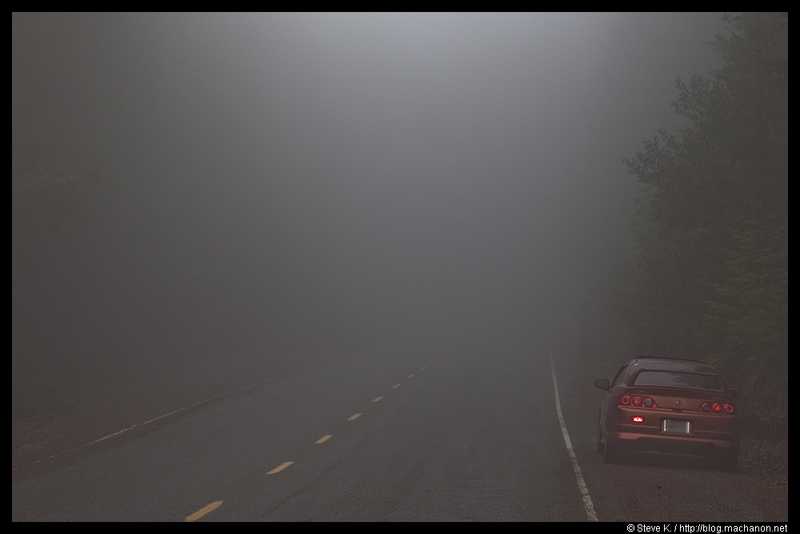 The rear fog lamp should turn off. 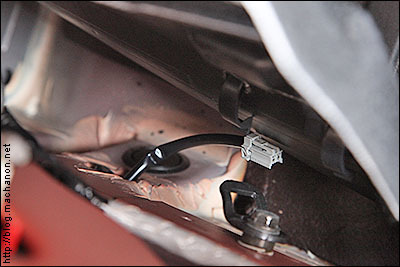 This will plug right into the rear fog light without any modification done to the rear fog light itself. 13. Take the female brown plug from the wire you’ve extended in step 11 and plug it into the BLU wire that’s trailing from the fog light relay. 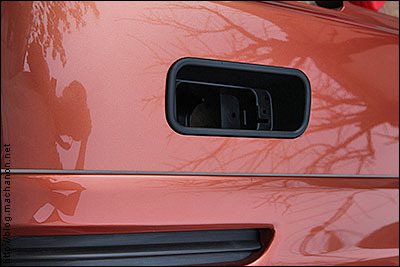 and finally into the tailgate panel which you’ve removed earlier. 15. This step is entirely optional. 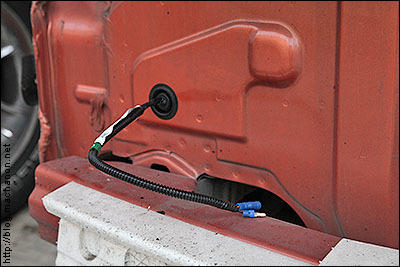 You can splice the BLU (or BLU/RED) extension wire with the RED/YEL wire from the license plate light sub-wire for a direct connection, and ground the BLK wire to any metallics surface. 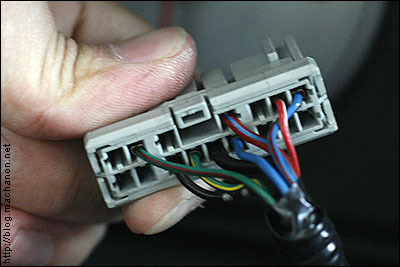 Or to keep it OEM-style, cut off the brown plug at the end of the BLU (or BLU/RED) extension wire. 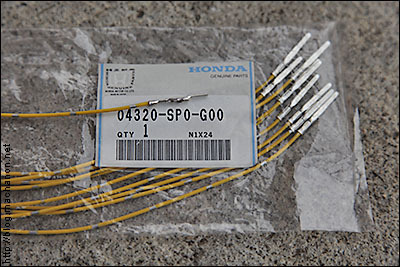 Attach a male 0.50 Honda pigtail (part #: 04320-SP0-G00) onto the cut wire. Take another male pigtail and splice approximately 1.5 feet of 16 awg wire to the end of it (this will be the ground wire). 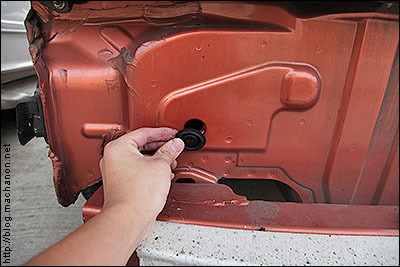 This step is important because the rear wheels kick up a lot of gunk from the road and tosses it into the cavity of the rear bumper. If it rains, water picked up from the rear wheels can cause an unwanted short if the wires are not weatherproofed thoroughly. This is another reason why all electrical connections need to be fused and relayed. Are rear fog lights effective? Yes, especially when you drive in an area with a lot of fog, rain or snow. 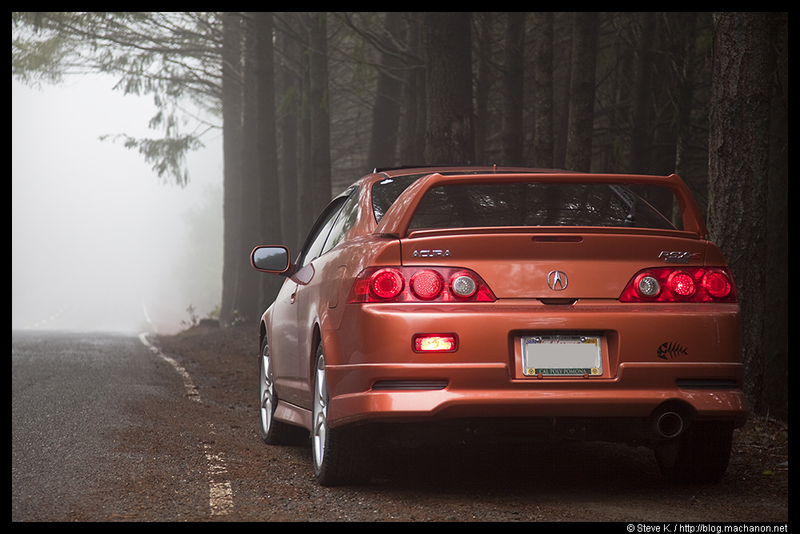 Below are several pictures of my RSX on Briceland Thorn Road in Garberville/Shelter Cove/Whitethorn, CA; ~150 feet away with thick fog (according to my Garmin hand-held GPS). 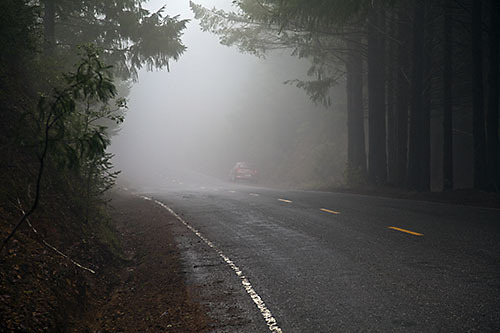 Since I drive through the desert and through the coastal fogs from central to northern California quite often, this is a highly functional and beneficial mod. nice writeup! 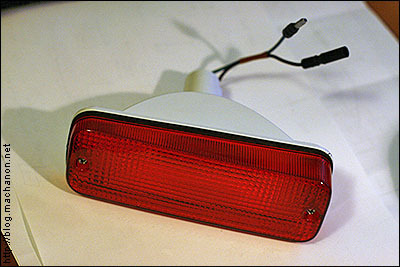 exactly what I am looking for to install the LED rear fog bought online. Hey man, great thread you have here, definitely in the plans for the future. I know this was posted a while ago but I was wondering what rear lip you have on your RSX in the pictures demonstrating the fog light? 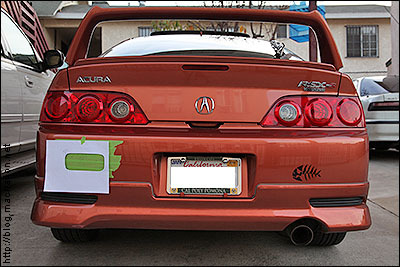 It is the OEM Under body spoiler offered by Acura, aka A-Spec. Where I can get one of those kits? Search on eBay. I don't think they're made anymore so you'll need to buy them used. I have a dc5 02 and I am going for this look any help would be great I got the rear fog light I will pro just make a switch to turn it on when I need it. Do you know what is an LED replacement bulb for the light? You mean for the rear fog light? It’s a 12v 21w bayonet bulb (aka 1156 / BA15s). You can find it on eBay or order it new through ICB Motorsports. I recommend getting a used good condition lamp instead. looks great and serves a purpose. Added some additional photos to the guide.